More images and thoughts from ALHFAM’s President Dr. Debra Reid as her trek across Estonia continues…. 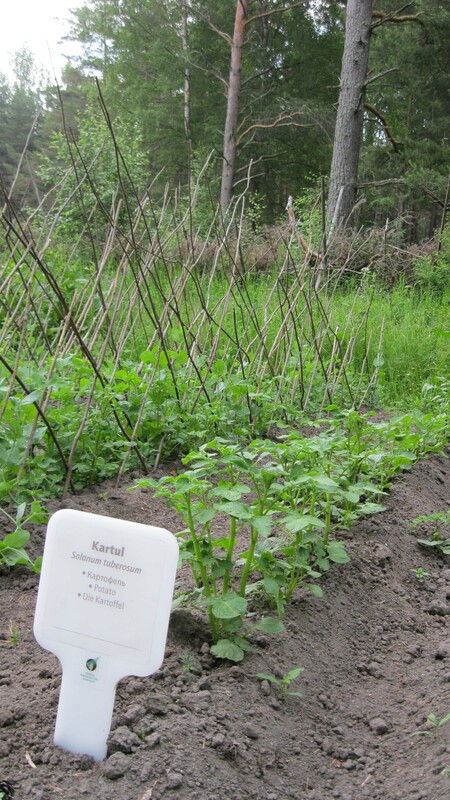 The Estonian Open Air Museum concentrates its efforts on two gardens (based on my observations during my visit on June 25). The museum fulfills its interpretive goal by featuring architecture and the built environment, including gardens. 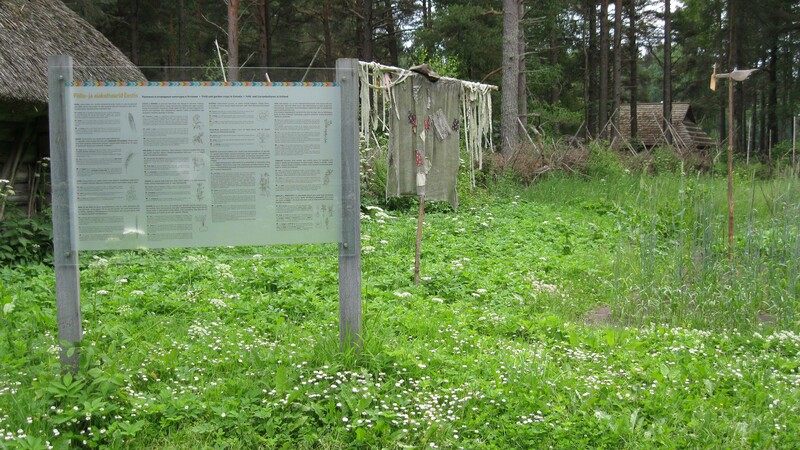 Thus, each garden becomes a tool to convey information about Estonian cultural heritage. The first garden most visitors encounter does that and more. Most visitors exit the ticket sales and gift shop and walk straight down the path to the Sassi Jaani farm. Once in the farmyard, the garden lures visitors in with scarecrows and other creations designed to frighten birds. The garden seems to introduce visitors to what they will encounter in other gardens. A large sign presents a historic overview of various crops, including potatoes, peas, carrots, even tobacco, that Estonians grew in their gardens. The information appears in five languages (English, Finnish, German, Russian and Estonian). 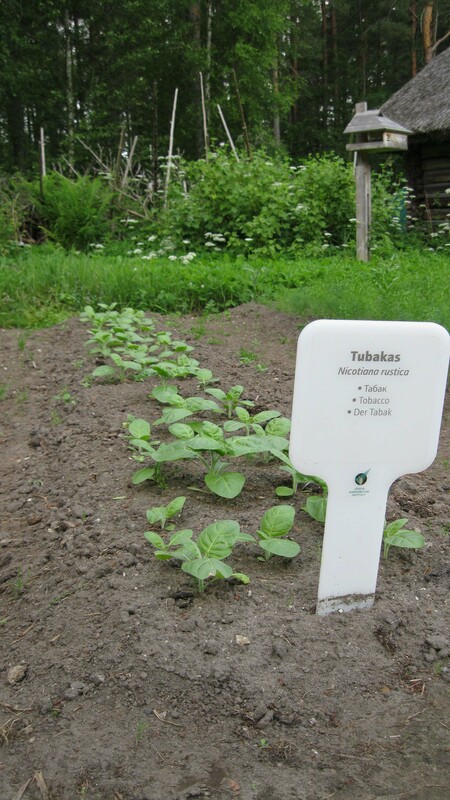 To ensure name recognition, rows of plants have markers that convey just the plant name, in multiple languages. This garden exists to interpret home gardens, not to replicate a kitchen garden. For that approach, visitors had to walk down the road to the Pulga farm from northern Estonia. There the well-tended garden was surrounded by buildings reflecting Finnish influences, and fences that probably represented the same influences. The long thin poles that fenced the Pulga garden kept the deer at bay, but perhaps not the rabbits. 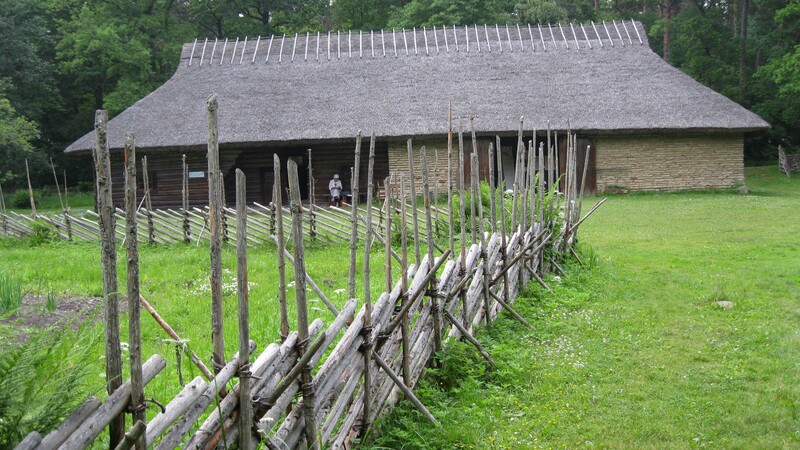 It was wood, as were most fences throughout the museum, but each farmstead seemed to present a different fence type; they varied in height, fabrication, and density. 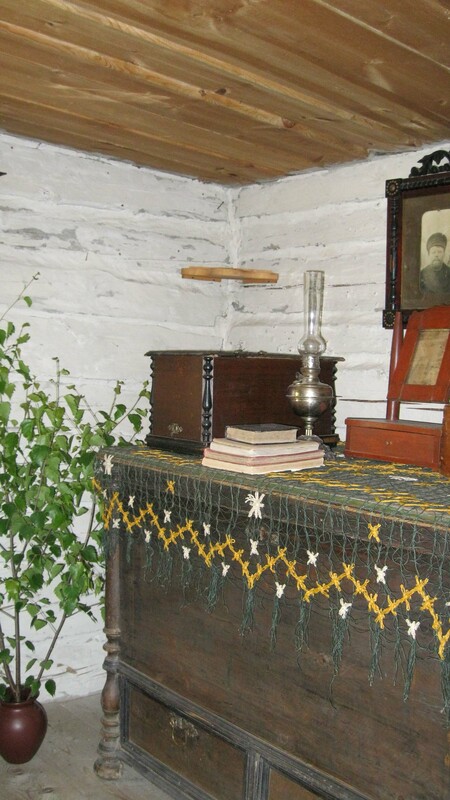 The gardens did not stay outside, either, because several interiors had large pots of greens cut from trees and flowering shrubs, as depicted in a tiny room of the Sepa farmhouse. 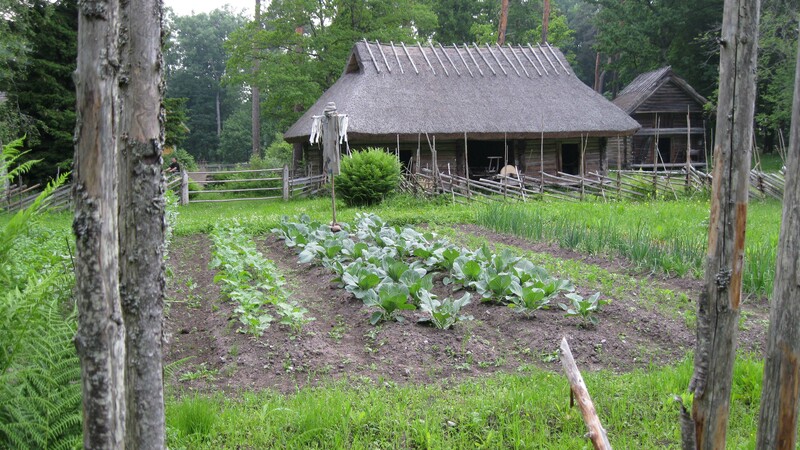 Not all the farmsteads had gardens, but those that did provided added stimulation to visitors who needed more than buildings to get a sense of Estonia’s diversity. Gallery | This entry was posted in AIMA, ALHFAM, Education, food, growing food, historic houses, Living History, Museums and tagged agriculture, AIMA, ALHFAM, Estonia, Europe, Food, workshop. Bookmark the permalink.